Homeowners in rural Ireland will feel the brunt of property tax hikes under the system of reform favoured by the Government. Around 25,000 householders who own a property currently valued at between €180,000 and €270,000 would see their bill jump by €135. The majority facing the steep rise are living in rural Ireland - rather than Dublin where property prices have soared since the recession. Fine Gael has faced pressure from affluent city dwellers concerned at how much their tax could skyrocket. But now it seems those with cheaper homes will feel the most pain. 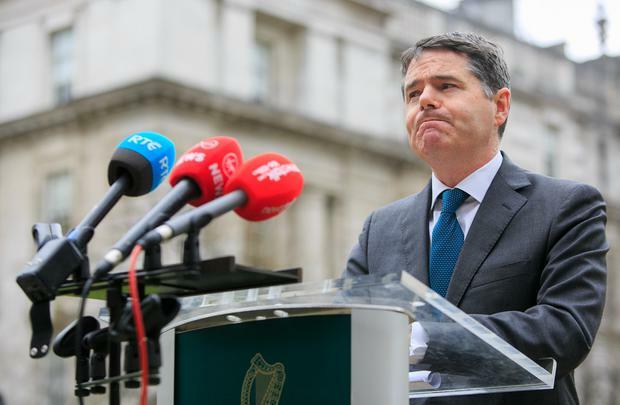 Finance Minister Paschal Donohoe has insisted he is not yet wedded to any figures and instead wants a cross-party consensus on the changes. After more than a year of work, an inter-departmental group has provided the minister with five options for changing how the Local Property Tax (LPT) is calculated. Homeowners currently pay the charge based on the value of their property in 2013, even though prices nationally have risen 80pc in the interim. The report urges re-evaluation of properties in November. However, Mr Donohoe is not prepared to make changes until late 2020, meaning tax increases won't take effect until 2021. This pushes it well beyond the likely date of the next general election. Fianna Fáil's finance spokesman Michael McGrath said the delay is "undoubtedly a decision taken for political reasons in advance of the upcoming local and European elections". Officials said every approach involved "winners and losers". The option favoured by Mr Donohoe would allow 82pc to avoid any increase. Many of those escaping any tax hike would be outside Dublin, but those hit hardest will also be in rural Ireland. About 2pc with some of the cheapest homes nationwide would see bills rise from €90 to €225. Meanwhile, CSO figures show the income gap between Dublin and the rest widening.